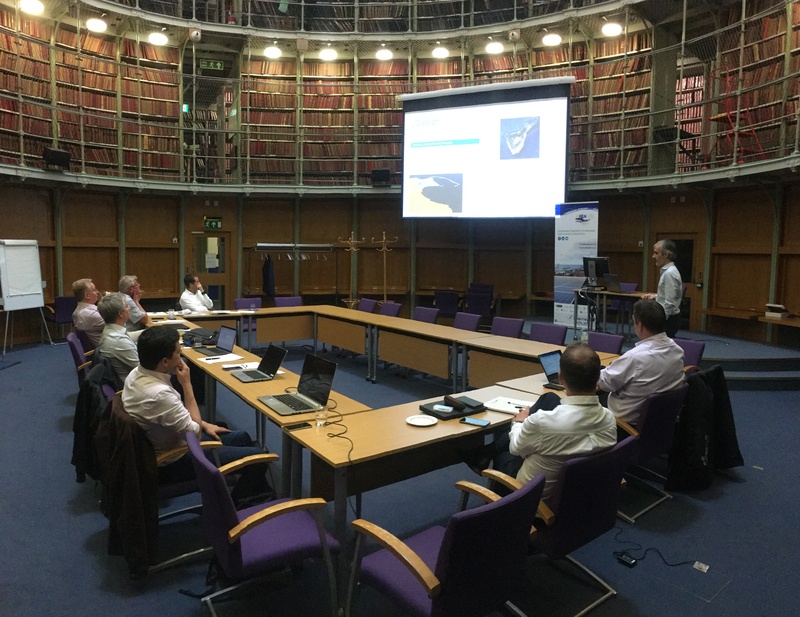 Celebration of the second partners meeting of the SEAFUEL project in Edinburgh – ITER – Instituto Tecnológico y de Energías Renovables, S.A.
ITER will host a pilot plant in its facilities for the demonstration and implementation of hydrogen technology on the island. 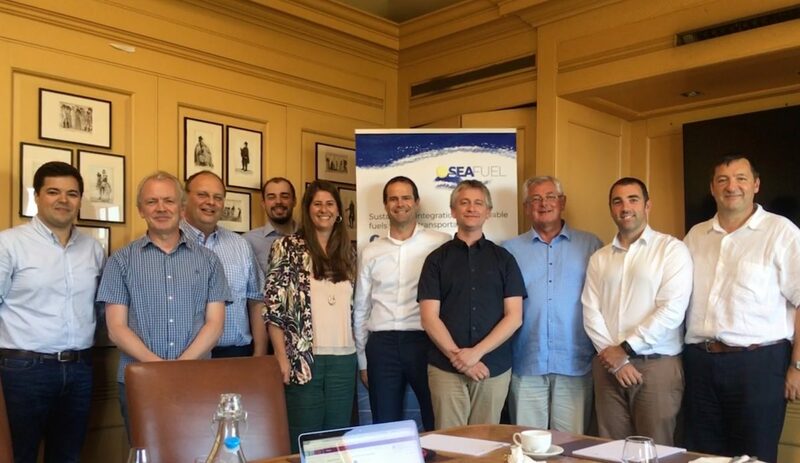 Representatives from 9 of the 10 project partners arrived in Edinburgh on 27th June for a two day meeting of the SEAFUEL project – an initiative funded by the Interreg Atlantic Area Programme through the European Regional Development Fund (ERDF). The project has a budget of €3,5 million over 36months and seeks to use the renewable resources across the Atlantic Area to power the local transport fleet and support the shift towards a low-carbon economy. The project, which kicked off 6 months ago aims to demonstrate the feasibility to power local transportation networks using fuels produced by renewable energies and seawater, with no net carbon footprint as promoted by the resource-efficient flagship initiative COM(2010)2020. It will cover technical innovation by a demonstration plant, a framework for policy implementation and a sustainability analysis of production, distribution and usage of hydrogen as an alternative fuel in remote Atlantic regions. The energy required will be provided from renewable resources available across the Atlantic Area such as solar, wind and marine. The Scottish Malt Whisky Society hosted the first meeting session where a review of all project activities was done, sharing each partner the updates regarding the work package they lead. After lunch, the consortium participated in the Steering Committee meeting. The New Register House hosted the second meeting session on 29th June. The Scottish Hydrogen Fuel Cell Association, the Scottish Development International, Enagas and H2 Green Power participated in the stakeholders’ event organized within the frame of the second day meeting session declaring their interest in participating in the project. After the meetings, the consortium went to visit the Hydrogen Office Project installation situated in Levenmouth. 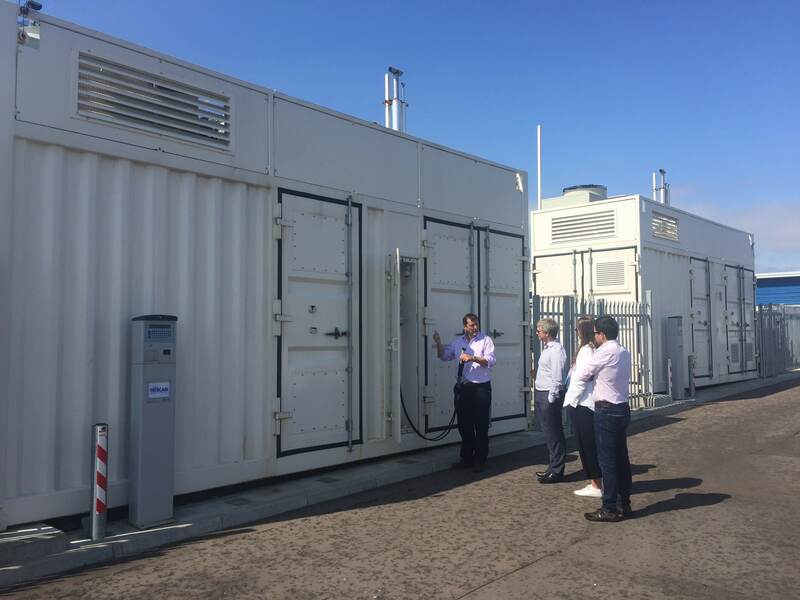 Here the partners visited the novel renewable and hydrogen energy system, that uses renewable energy directly when available, whilst storing surplus energy as hydrogen to meet a proportion of the building’s needs during periods when renewables were unable to meet demand. A similar installation will be installed in Tenerife as a pilot plant for the demonstration and implementation of Hydrogen technology in the island. SEAFUEL project, entitled “Sustainable integration of renewable fuels in local transportation”, is led by National University of Ireland Galway, and its partnership includes: Aran Islands Energy Coperative (Ireland); University of Liverpool (United Kingdom); Action Renewables (UK); HyEnergy Consultancy Limited (UK); Logan Energy (UK); Institute of Technology and Renewable Energies of Tenerife (Spain); Tenerife Energy Agency (Spain); The Regional Agency for Energy and Environment of the Autonomous Region of Madeira (Portugal) and the European Hydrogen Association (Belgium).